In my house, we play what we call “The Powerball Game” all the time—not actual Powerball, mind, but the fantasy game of what we would do with our fabulous winnings. In what I’ll call the P-S household, a Wyoming ranch is always at the top of the list. But that is, of course, just the beginning, and with two bookish types in the mix, you can bet a bunch of those winnings would go toward something to do with the written word. And, at the time of this writing, we’d have $550M to work with! But how would different types of book lovers approach the terrible, terrible quandary of how to spend all that money (or, considerably less, if you take the lump sum, and after taxes, but really, who’s counting)? This is me, as I freely admit. I would head straight to some of my favorite publisher sites and hit them up for massive sets—sets, sets of everything! The first 300 NYRB Classics published? Yes, please. Who cares if I already have some—I just won the lottery! Every Penguin Classic in print? No longer, it seems, offered directly by the publisher, but starting north of $13K and well worth it. I mean, how great would those look on your shelves, all together? Also the perfect time to grab that full set of Melville House Art of the Novella, if you haven’t already (that one is more reasonably priced, and yes, I have). Wishing you’d renewed that Times Literary Supplement subscription? Ready to finally say yes to all those literary magazines you’ve been passing up? With your Powerball winnings, you’ll no longer have to choose between McSweeney’s Quarterly Concern and The Virginia Review; you can have all of the subscriptions. And you can even start subscribing to some book publishers as well. It’s another Art of the Novella offering, Archipelago Books offers 6-month or 1-year subs to its current catalogue of books in translation, and nonprofits like Starcherone offer subscription/donation options that will keep brand-new books arriving at your house all year long (and often unexpectedly—surprise books, yay!). And Folio Society, here we come! Want more than just books? Say, a vacation to a secluded island in the South Pacific, without anything to do…but read? 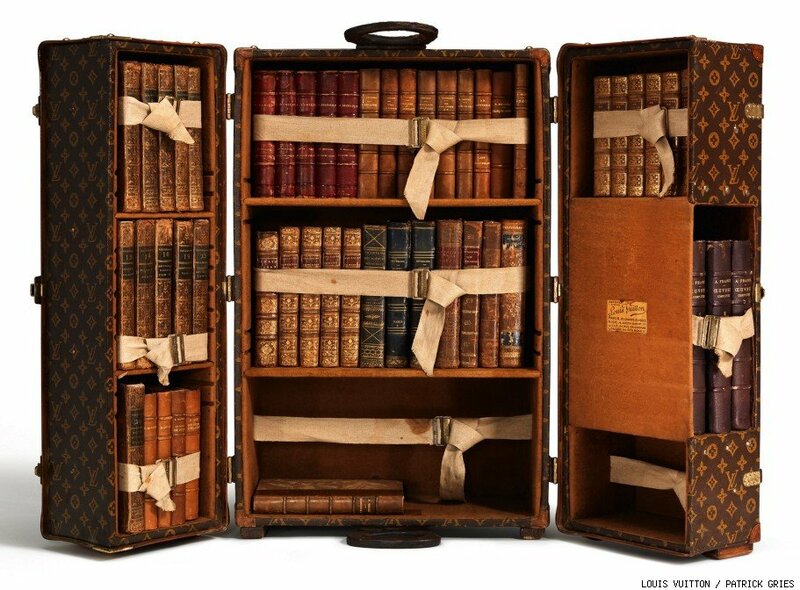 Or perhaps a cruise round the world, well supplied with books. Maybe just that Wyoming ranch I’ve had in mind would do the trick. Or that once-in-a-lifetime trip to the Galapagos we’ve all dreamed of—well-equipped with Melville’s Enchanted Isles, natch. Love your favorite indie so much you already blow your mad-money budget on it just to help keep it afloat? Always wanted to own your own store? Something tells me your winnings could buy out more than one—or you could invest in your favorite, letting the pros you already love keep running it. Need some new bookshelves? Or perhaps some new rooms to put them in? You’re thinking small, and this is Powerball time! Sure, you could spend your winnings on yourself, but you can also give back. And with that much money, let’s face it, you can probably do both. Whether it’s to public libraries, private ones (your alma mater really loves you now! ), or a needy local school, prison, or other facility, you’ll have lots of option for making the lives of others better as well as your own. Collectors, rejoice in your winnings! This is your chance to make the Abe Books list of most expensive sales look like chump change. That second edition of a 1798 French work on the explorations of Jean-François de Galaup went for less than $20k, and you can probably find that much between your couch cushions by now. Signed first-edition of Harry Potter? Will you even notice $5k missing at this point? Some others might put a dent in your budget, but damn, $31 million for scientific journals actually written by Leonardo da Vinci is starting to sound like a bargain. So, how would you spend it? And when the laws of probability strike again and you find yourself, at best, only a few dollars richer (if at all), how will you deal with the disappointment? Treating yourself to at least a few books, I hope!